Effortless stylish is our Nene jumpsuit. Crafted from our soft, breathable cotton it feathers a wrap style front. On the shoulders you will find our signature braiding. Once you get into this jumpsuit you will want to wear it all the time! The comfortable elastic waist makes it look feminine yet makes it super comfy from am till pm. The side pockets are also a plus! 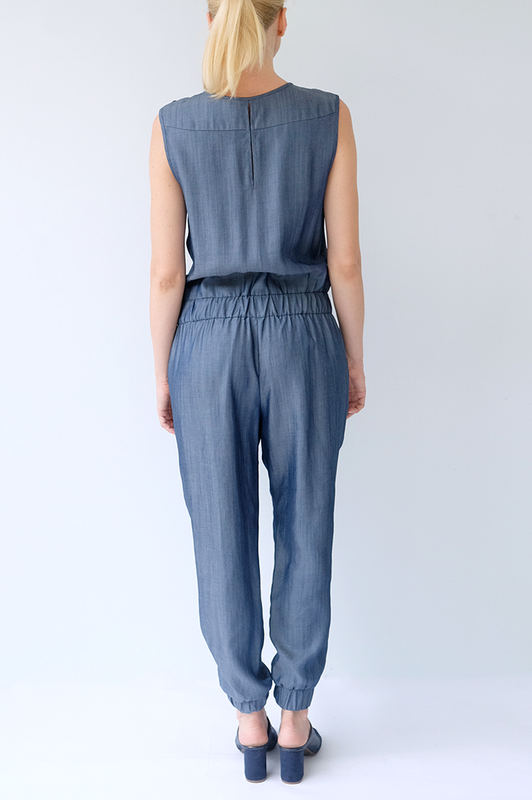 This jumpsuit is a contemporary classic.